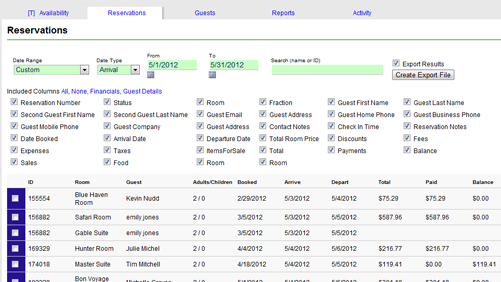 Send us a CSV file with your reservation data and we will populate it into your ReservationKey account. Import both guest data and reservations, or just guest data. CSV file format guidelines are provided. 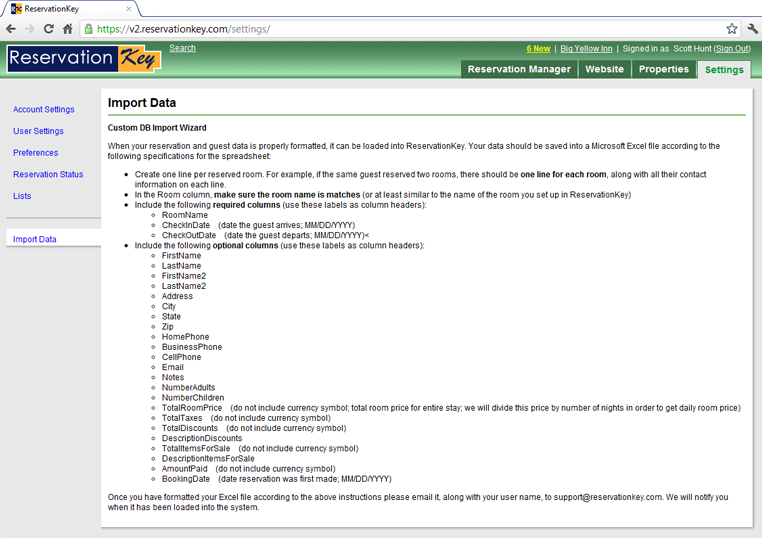 Export your data from ReservationKey at any time. We don't hold you hostage. Feel free to move to another system at any time by being able to export your data. Select which data to export. Create custom CSV files, with just the columns you want. Select which tax types to export. Also can export to Google Calendar. You're on number 12 of 24 reasons to use ReservationKey.